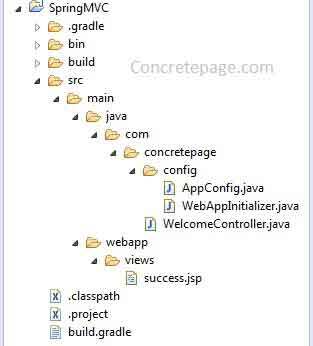 In this page we will learn Spring MVC UrlBasedViewResolver example with java configuration. UrlBasedViewResolver is the implementation of ViewResolver interface. It works on the basis of symbolic view name. When a method in controller class redirects to a page, it helps to find out the actual file path. Find some methods of UrlBasedViewResolver. setPrefix(): Append a prefix with the value returned by Controller method. setSuffix(): Append a suffix with the value returned by Controller method. setViewClass(): Sets view class like JstlView.class. setCache(): We pass true/false to enable/disable caching. Now find a code snippet. Find the java configuration file for UrlBasedViewResolver. Find the controller used in demo. Output will be as given below.